Home > Pest Control News > Ants > PEST CONTROL BOURNEMOUTH, POOLE, CHRISTCHURCH, RINGWOOD AND VERWOOD AT EASTER. With an early Easter nearly upon us the first thought is usually chocolate eggs and hot cross buns! Animals may not have this luxury but eggs and young are in their minds. The Queen Wasp will be busy setting up her nest with just a few eggs at first, eventually numbers could swell to thousands. This year the numbers of Wasps is likely to be high as we have not had a cold winter and temperatures are already reaching double figures on a daily basis. A large majority of Wasps nest that I treated in the Poole area last year were in the ground especially in Parkstone and Branksome. In other areas, including Bournemouth and Christchurch, the nests were in buildings, including air vents and higher up in lofts. Further afield in Verwood and Ringwood nests could be found in bushes and hedges. 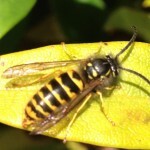 In all cases it is important to act quickly and get some form of wasp control or wasp removal, as if a nest is allowed to mature the probability of being stung rises dramatically. Fleas will be feeding on un- protected pets and female fleas will be able to lay up to 1000 eggs in their lifetime, it is no wonder that insects in general, out – number humans by 250,000 to 1!! Given good conditions and food, Mice and Rats numbers can swell dramatically with Rats being able to give birth every 28 days and Mice every 21 days. Rodents will find refuge in both domestic and commercial buildings and a lot of damage and distress will been caused if this happens. 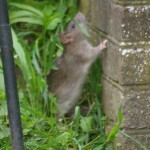 Rats and Mice have been very active this year already. Squirrels can also promote their numbers and can produce 3-9 young twice a year during the spring and summer months as a visit to a local park always reveals. Young Foxes will soon be emerging from the dens which are now common place in both urban and rural locations, especially in the banks of the railway from Poole to Christchurch and beyond, causing potential havoc to lawns etc. 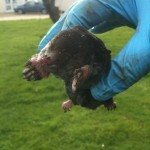 and speaking of lawns, the Mole will be producing a litter of young ready to leave the underground nest after 5 weeks and this year, so far this year, an explosion in Mole numbers can be witnessed in many local fields, verges and gardens. Without proper treatment, damage to lawns and gardens is inevitable and if left un-treated, will only get worse. With Birds and Rabbits joining in as well, life gets a little more interesting, both in and outdoors.